White sand beaches. Lush hinterland. For most, it’s a dream come true to own a home in Australia. For some, it’s a nightmare. While tourists flock to Australia to gawk at its creepy-crawly collection of insects and arachnids, residential pest control and commercial pest control professionals, like our team at Top Dog Pest Control, understand these pests can be a real dream-killer, not an attraction. Specializing in pest protection services from termite inspections to rodent removal, we’ve seen the damaging effects of untreated pest problems and the dangers they can pose to your families physical and financial health. Before we get into the countdown of Australia’s top 10 pests, let’s lay out the most common types of pests and why it’s so incredibly important to protect your home from these unwanted invaders. What types of pests are most common? Crawling insects: These guys love finding their way into your home – through walls, roofs, and up through the floor. Typically travelling in groups, they come in numbers and don’t take the hint when simple DIY pest control solutions are employed. Flying insects: Very annoying and even dangerous, these pests are attracted to the shelter that patio roofs and decks provide. Flying stingers like bees and wasps like to think that your turf is THEIR turf. 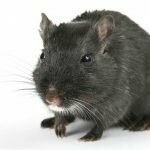 Rodents: Think dirrrrrty with a capital D. In fact, since the Dark Age rodents like mice and rats have been known to be carriers of bacteria, worms, plague, and disease (to name a few!). With a rapid breeding cycle, these little guys are always evolving and adapting to your everyday pest control tricks. Termites: A property owner’s worst nightmare. Known to be a big problem here on the Gold Coast, and throughout SE Queensland, if given the chance these hungry terrors can cause extensive damage to your home or business, burrowing deep into your properties timber and impairing the structural integrity of your home or business. Frequent termite inspections and timber pest treatments are strongly recommended in this part of the state. But more than just your home is in trouble. When pests move in, so can problems like mold which lead to asthma, skin reactions, and allergies. Not to mention, having pests like termites and rodents nibbling their way through walls can damage to your electrical wiring which may lead to accidental electrocution! 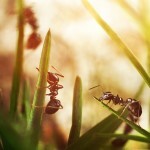 The physical, mental, and financial stress of living with pests and managing their extermination is just not worth it. So what are the top 10 pests Queenslanders need help fighting off? Contrary to their name, Bed Bugs don’t just live in beds. While you can look for traces of them under your mattress, along the frame of your bed, you can also find these little guys in cool cracks and crevices, such a kitchen drawer. How many times a day do you want to wash the cutlery now? 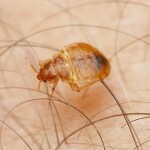 Think you’ve got bed bugs? Bed Bugs leave a very distinctive bite: a series of 3-4 spots in a line on the skin. Small and easy to miss, these tiny, shiny water bugs live wherever they find dampness. A dank basement carpet, old gym gear, or even towels and wet rugs left on the floor can attract these “fish” by the school. 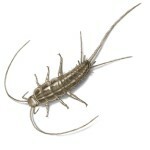 The biggest sign of Silverfish is the damage they leave behind. Look for ‘evidence’ like holes in things such as wallpaper, books, papers, and cardboard boxes tucked away in cool, damp storage areas. Bees are social insects – living in colonies of 20 000 – 80 000 insects! Loyal to their queen, bees go wherever their queen goes. 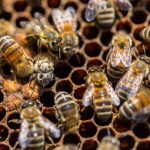 In some cases, this means that bees can “swarm” – a phenomenon that occurs when a queen bee leaves the nest and up to 60% of her worker bees follow her. When this happens, the swarm finds the next best nook to set up the new hive, maybe taking up shop under your back deck! Bees in these numbers can be very dangerous and professional, residential pest control services are recommended to remove them. What to look for: Do you hear humming? Buzzing? Bees make a lot of noise when a hive is nearby. What to look for: Look out for finely powdered soil near your driveway or in your back yard– a colony could be lurking below. House mice are active all year, but especially in winter when the temperature drops and they’re on the lookout for a nice, warm cavity to make their next nest. Creeping into the cracks of houses, mice make their nests in walls and quiet crawl spaces, breeding like crazy and venturing into your kitchen for a midnight snack. 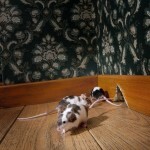 What to look for: If you small brown pellets in the corners of your home or business – that’s mouse poop! Mouse droppings are the most common sign of a mouse problem. Another tell-tale sign is chewed up packaging and gnawed furnishings. 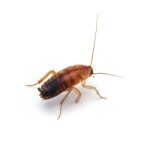 If you spot any of these signs, you should consider a commercial pest control solution to get the job done right. Australia is home to the world’s deadliest spiders. While some people find them help around the house, keeping flies and mosquitos to a minimum, others find them freakish and terrifying. 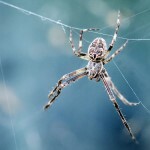 If you think you’ve got a spider infestation or spot an especially dangerous species, residential pest control professionals, like our team at Top Dog Pest Control, can help identify the danger and rid your family of the potential risk. What to look for: Look for webs, either funnel or orb shaped. Spiders prefer to live and nest in damp, moist areas like shed, garages, and attics. Large wasp nests can contain over 25 000 wasps. Yup, that’s a lot of wasps! Favoring wall cavities, lofts, trees, and bushes – these black and yellow brutes can become a nuisance and a threat to your safety if left to their own devices, taking over your garden or deck area. 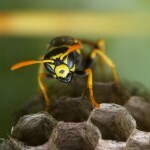 What to look for: The most obvious sign of a wasp problem is one large wasp nest or a series of small wasp nests. Wasps make their nests from chewed wood pulp and saliva, giving their nests distinctive, papery walls. Black rats are the most common in Australia, living almost anywhere food and shelter can support them and their hoards of babies. Rats are dirty and can carry up to 35 types of disease (at one time!) including plague, salmonellosis, leptospirosis, Tinea Favosa, and Spirillum Minus or Streptobacillus Moniliformis (also known as Rat Bit Fever). Signs of infestation include droppings, smear marks and teeth marks on electric cables, as well as hair clumped on entrances and exits to their hole or nest. Some people say cockroaches could survive a nuclear explosion. We don’t think their quite that tough. That being said, cockroaches rank high on the list of Australia’s worst pests – invading homes for their food, shelter, and warmth. Cockroaches like to come out after dark. If you think you have a cockroach problem, sneak into the kitchen at night and turn on the lights suddenly. See anything scary? 1 in 4 Australian homes will have termites in their lifetime. Will one of those homes be yours? Termites are hands down Australia’s most destructive and intrusive pest, causing an average of $7000-$8000 in damage, per property, that’s usually not covered by insurance! 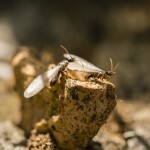 Regular termite inspections and evaluation of the timber in your home or business is a must for any Queensland resident. Knock on wood, does it sound hollow? Do your doors and windows not open like they used to? Do you see ‘white ants’ in your home? Termites can be hard to spot at first, but their damage, such a tunnels throughout your homes timber structure, can be catastrophic if left untreated. If you believe termites may be making your home THEIR home, call our team for a termite inspection before the damage gets out of hand! Want these hateful pests out of your home? Call us! As a Pest control company on the Gold Coast, we’re not afraid to look deep and inspect your home, like it’s our own investment that’s on the line, to find out what pests are posing a threat to you, your family, or your business. We are experts in residential and commercial pest control on the Gold Coast. Our services include termite inspections and timber treatments in addition to rodent removal and effective pest control solutions against cockroaches, ants, spiders, and more. Scared to look behind the walls? Don’t worry, that’s what we’re here to do! Give us a call at 1 800 737 836 for a quote.